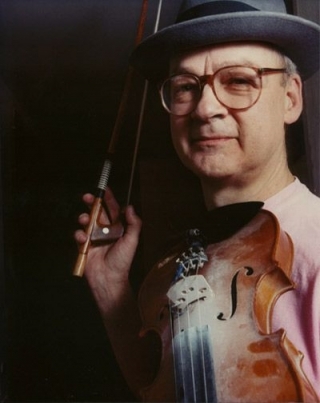 Tony Conrad is a pivotal figure in contemporary culture. His multi-faceted contributions since the 1960s have influenced and redefined music, filmmaking, minimalism, performance, video and conceptual art. Known for his groundbreaking film The Flicker, his involvement in the Theatre of Eternal Music and the evolution of the Velvet Underground, and collaborations with a host of luminaries including Jack Smith, John Cale, Mike Kelley and Henry Flynt, Conrad remains a radical figure who challenges our understanding of art history. This special weekend at Tate Modern will feature a major new performance for the Turbine Hall and screenings of Conrad’s extraordinary film and video work. Curated by Stuart Comer, Alice Koegel and Mark Webber. Assistant Curator Vanessa Desclaux. With thanks to Galerie Daniel Buchholz, Cologne; Ed Carter, Lumen/Evolution; Tracey Ferguson; Florian Härle; Tony Herrington, The Wire; Branden W. Joseph; Christophe Kniel and Ilja Mess; Neil Lagden; Elliot Landy; David Leister; Marie Losier; Eric Namour, [no.signal]; Jay Sanders, Greene Naftali Gallery, New York; Chloë Stewart; Ann Twiselton, MIT Press; Steve Wald; Richard Whitelaw, Sonic Arts Network. 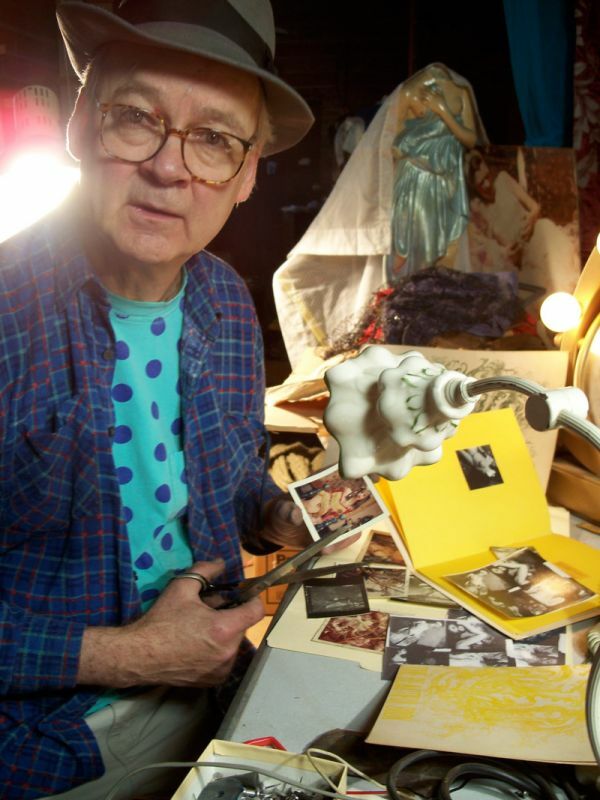 Tony Conrad is a pivotal, polymath figure in contemporary culture, a pioneering composer, musician, performer and filmmaker, whose work emerged at the heart of New York’s fervent avant-garde art community in the early 1960s. Best known for his influential early musical explorations and the ‘experiential excess’ of his groundbreaking ‘structural film’, The Flicker, Conrad’s work offers a complex reassessment of duration and temporality, and a direct implication of the viewer as an active participant in his work. His hybrid, often perceptually intense practice has persistently expanded disciplinary boundaries and challenged traditional notions of authorship and authority for more than forty years. After studying mathematics at Harvard, during the early 1960s Conrad developed a distinct approach to sound in contemporary musical production, introducing sustained drones built upon a strategy of minimal reduction and temporal expansion. From 1962 he was a key member of the groundbreaking Theatre of Eternal Music (also known as The Dream Syndicate). The group developed ‘Dream Music’ which dispensed with written scores and critiqued the history of western orchestral performance. Utilising long durations, precise pitch and blistering volume, its members – including Conrad, La Monte Young, Marian Zazeela and future Velvet Underground co-founders John Cale and Angus MacLise – forged a performance collaboration which denied the activity of composition, examined the physical elements of sound, and established a principal branch of the minimalist tradition. Following the dissolution of the group in 1965, Conrad has continued to reflect on duration as a concept in various fields conventionally distinguished as music, film, performance and the visual arts, always challenging his audience in whatever medium he employs. 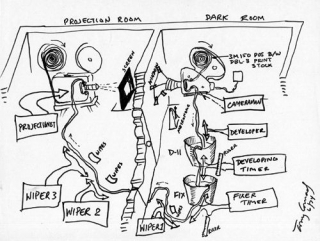 Much of Conrad’s work has involved collaboration, from the Theatre of Eternal Music to his involvement with the philosopher, musician and anti-art activist Henry Flynt, his early creative partnership with the underground artist and filmmaker Jack Smith, his participation in the influential Department of Media Study at the State University of New York at Buffalo, and more recent projects with artists such as Mike Kelley and Tony Oursler. As his career has shifted and intersected with these diverse artists, agendas and positions, Conrad has problematised not only his own work but the conventional set of categories used to contain and define it. A reconsideration of his practice also problematises traditional linear histories of the movements and developments with which he has been associated: minimalism, Fluxus, early conceptualism, underground and structural film, paracinema or expanded cinema, performance and video. The heterogeneous nature of Conrad’s work comprises a radical and productive inconsistency that continues to subvert the power structures that regulate the writing of history. Conrad’s approach to cinema reflects his penchant for transcending boundaries and reconfiguring conventional notions of production. The Flicker, his rallying call for a new age of cinema, led the philosopher Gilles Deleuze to muse on a ‘cinema of expansion without camera, and also without screen or film stock,’ a cinema in which ‘anything can be used as a screen, the body of a protagonist or even the bodies of the spectators; anything can replace the film stock, in a virtual film which now only goes on in the head, behind the pupils.’ Conrad’s films do not rely only on luminous, audiovisual stimulation and extreme perceptual states. He has also explored a wide range of unusual materials and production methods, experimenting with various ways of cooking film – treating raw film stock as an ingredient to be stir-fried or pickled, and then projected. He has also played film as a musical instrument, stretched taut and played upon with a bow, and has used a Tesla coil to electrocute film stock. This theatrical, performative approach to creating films makes process and production an integral and evident part of the work. The relationships between process, projection and performance have a long history within Conrad’s work and take on particular resonance in Early Minimalism, a series of compositions which refer to and redress the artist’s history with the Theatre of Eternal Music. Performances take place behind a scrim, backlit to create shadows of the performers, a spectral doubling to complicate the work’s relationship to the past. Unprojectable: Projection and Perspective, a new commission in which Conrad addresses the immense space of Tate Modern’s Turbine Hall with its central bridge as a stage, exposes us to his most recent exploration of projection and long duration on a major scale. 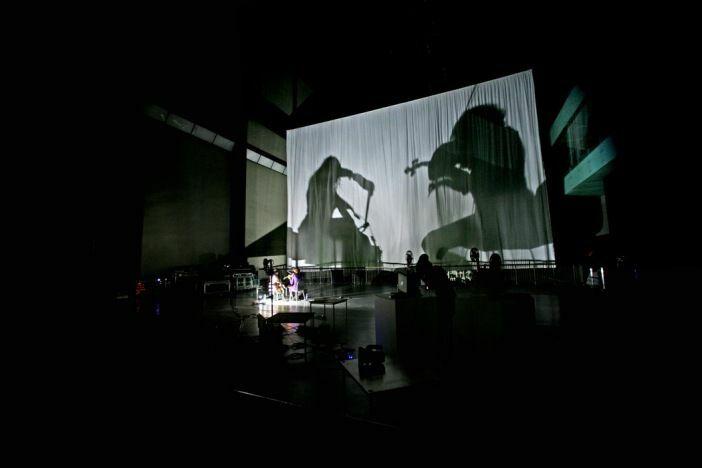 A tremendous sound will fill the Turbine Hall, starting off with a buzzing pulse at 25 per second, mixed with an amplified string quartet including Conrad on violin, an electric drill and hand-held phonograph arms. Billowing scrims on either side of the bridge function as projection screens for the performative activities enacted behind them. These actions will include the live music performance and re-enactments of alternative film production processes Conrad developed in the mid-1970s, such as drilling holes in raw film stock. While the audience occupies the floor below, Conrad’s back-projected, larger-than-life silhouette will loom large, swaying in response to the production of sounds which will generate a pressure-filled auditory environment. The intensity of the sound will ground the event in the physical and perceptual space of the present, while the shadows might be read as a comment on the status of the present versus the re-presented and non-recoverable past in the archive of musical and visual culture. Minimal cinema with maximal effect. Few films provide the intense, stroboscopic viewing experience of The Flicker, a non-objective film composed only of opaque and clear frames, and a pulsing electronic soundtrack. Conrad’s cinematic debut still astounds audiences four decades after its creation, and will be screened together with other works exploring audio-visual harmonics and the radical production processes of cooked and electrocuted films. The screening, introduced by Tony Conrad, will be followed by a reception to celebrate the publication of “Beyond the Dream Syndicate” (Zone Books/MIT). I think that The Flicker acts as a very versatile art object. The observer can really use it to his own means over a wide range of possibilities. The beauty lies within the beholder himself. In most aesthetic presentations – drama, cinema, music – the common attitude is that the amusement or the beauty or the effect of the experience is wholly within the entertainer; that the entertainer is actually creating the impressions or the reaction himself. The Flicker, I think, presents a clean-cut case of the experience lying within the observer. Most of the details, most of the impact, most of what people find it in, what they take away from having watched the film, wasn’t there, was conjured up only when they watched this film: it didn’t exist before, it doesn’t exist on film, it wasn’t on the screen. 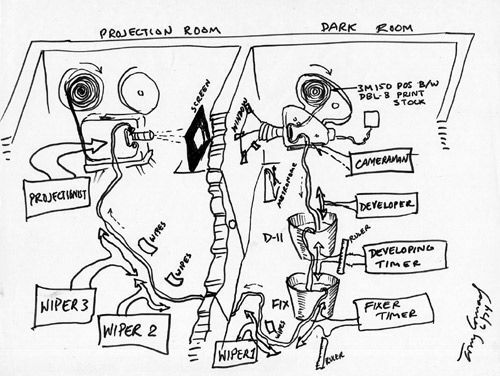 The cybernetics of video applied to film production. Film Feedback was produced in ‘real time’ by processing and projecting the film while it was being shot. Made with a film-feedback team which I directed at Antioch College. Negative image is shot from a small rear-projection screen, the film comes out of the camera continuously (in the dark room) and is immediately processed, dried, and projected on the screen by the team. What are the qualities of film that may be made visible through feedback? The work that served for me as a checkmate in the ‘structural’ film game is Articulation of Boolean Algebra for Film Opticals. This film achieved something of an apogee in formalist design, that conceptual regimentation which, in relation to de Sade’s eroticism, Barthes called “encyclopaedic […] the same inventorial spirit which animates Newton or Fourier.” (The Metaphor of the Eye, 1963.) Articulation literally unifies the optical and sound tracks. Both are the result of a design that follows an algorithmic system of stripes. The scale of the six stripes on the film strip positions them in relation to screen design, flicker, tone, rhythm, and meter, all with octave relationships. The sustained dead gaze of black and white TV ‘snow’, captured in 1965 and twisted sideways, draws the viewer hypnotically into an abstract visual jungle. Straight and Narrow is a study of subjective colour and visual rhythm. Although it is printed on black and white film, the hypnotic pacing of the images will cause most viewers to experience a programmed gamut of hallucinatory colour effects. Through the intermediary of rhythm, the maximal impact is drawn from the simplest of universal human images: straight horizontal and vertical lines. All texts or quotes by Tony Conrad unless otherwise noted. Texts by Branden Joseph have been adapted from “Beyond the Dream Syndicate: Tony Conrad and the Arts After Cage” (Zone Books / MIT Press). Tony Conrad investigated the conditions of video production and presentation in a series of tapes which deconstruct or re-appropriate the techniques of TV. Exploiting the reflexive nature of the medium, he critiques the electronic image and notions of history, theory and authority with an irreverent sense of humour. Postmodernism was never this much fun! The artist will introduce this programme of rarely seen works. TONY CONRAD TAKES ON VIDEO: WHO’S WATCHING WHO ? In Concord Ultimatum, I bend the structuralist / materialist film idiom in the direction of narrative, by addressing the video apparatus, the camera, directly. Materialist films were structured around a frank recognition of the primacy of the cinematic apparatus, but the recognition itself of this materialism required critical assessment; that is, a hidden stage of the materialist work, virtual to the work itself, is its identification and assessment as materialist. In Concord Ultimatum I hoped to assimilate the critical stage into the work, by repositioning the conditions of representation in the virtual space of audience reception. Redressing Down uses the distance between the body and architectural / environmental space as a metaphor for the relationship between maker and viewer. It invokes the body in relation to personal living space, in that personal space constructs an essential site for mediated social activity. A series of vignettes, each of which grips the viewer in a setting of psychic expectancy, constructs a psychological and cultural ‘virtual reality’, each viewer’s feedback into the video is their own theatrical construction of the tape’s events. A story of technology, appropriation, and authority. High technology is a palisade of errors behind which artists are marionettes of industry or addicts of solitaire. Inappropriate appropriation abounds here – inappropriate because what’s quoted is either not an entry in the cultural ark(ive) or is vulnerable to criticism. Then there’s the completely untrustable face, a pasty puffy morning after case, an old futz that nobody would ever believe, who mouths quotes from Mussolini (an authority no one can take seriously, the most maligned and possibly least acceptable thinker of the century), and who looks out from his monitor upon an old-fashion audience that listens unblinkingly, without a peep or guffaw. An analytical crisis ensues when the viewer’s activity is accounted within the work: without a (historic) closure, there can be no criteria of quality, nor a universal reference for judgement. Postmodern discourse has at least made a down payment on this cost to theory. Lookers seeks a different answer by moving against the tide; it explores the inclusion of discipline itself within the realm of interactions which encompass the work and viewer. In this fragment, there is a stress on the visual perceptual mode. Other footage expands Lookers into other sensory modalities, and implements a more alluring discipline. The First Intermediate Period was the occasion for a remarkable constellation of innovations in Egyptian thought and civil order. After the death of Pepy the First, none of the numerous claimants to his sacred throne was able to reverse the dire drought that announced the modern incursions of the Sahara into Egypt; one after another they were secretly denounced and executed; and simultaneously Egypt was visited by refugees filtering in across the eastern and western sands. Local nobles were unopposed in their power, and they attained to the same privileges as pharaoh in the afterworld (‘the West’). For the first time men and women too won rights of private ownership, of contracted marriages, and (with a proper burial) of entry to the West. Remarkably, individuals began reflecting in writing on the world around them, and the first introspective literature was invented. Egypt 2025 immerses itself in this concatenation of catastrophes, which is elaborated across the mixed space of family, gender, writing, law, civil order, religion, personal identity, and death. Any historical complex is simultaneously an invocation of our own condition, the conviction that sustains ’history’ as narrative arises amid the multiplication of overdetermining details that compose its ‘authenticity’. Science fiction can invent a ‘future’ in a way that historical romances are not permitted to do. No Europe violates this convention, freely projecting a past in which the ‘white man’ (and woman) in America was not from Europe at all, but instead has somehow derivatived from a primitive cave-dwelling condition to which ‘Caucasians’ would have been weirdly ill adapted, since they would have received no assistance, as the historical Europeans did, from Indians – a people whom we are led to understand may instead have been living in Europe. Needless to say, this script is rife with rudeness and inconsistency. Around 1958 or 1959 Henry Flynt and I did a public performance of a Duo by Christian Wolff on two violins. Henry was an able performer; I, on the other hand, was not. My tone was shrill and thin, without the warmth of vibrato or the nuanced bowing that comes with long practice. Nevertheless, the ‘lesson’ of John Cage’s music was the equivalence of all sounds, and for me the successful testing of this notion against the amateurism of my own practice was a fascinating confirmation of my forwardness in ‘going public’ as a musician. Henry informed me that in fact Christian particularly liked the qualities of our performance. This attitude, which in effect accepted (or even found substantial interest in) amateurism in musical performance, was significant for me in releasing my self-assurance as a performer. From this point forward I was comfortable with, and even preferential toward, amateurism in performance. In 1980, I made Accordion, a video performance that caricatured inept performance as a heroic enterprise. A trisection of the spectator’s power over their own image language: word, trance, and command are installed as valences of the artist’s license; revealed as figures of parental authority. How peculiar that people like being an audience because they enjoy their submission to the authority of the program. This ritual of being dominated is a conspiracy with themselves that we enjoy but refuse to acknowledge. “Oh, no. I don’t like TV because I’m submissive; it’s because it makes me feel good.” The programs are always carefully crafted to be sensitive to people’s self-protectiveness, even if they offer a good scare, or a good cry. Well, if this is all true, what happens when, by chance, you submit to a program that refuses to be polite about your closet masochism? That … tells all? In the wake of Combat Status Go, and in the course of making the trilogy “The Poetics of TV” (which comprises Ipso Facto, An Immense Majority and In Line), I discovered that meta-narrative devices could be employed ironically – even perniciously. Even an ‘advanced’ viewer might not have a chance to enjoy full independence from the strictures of the work, but they would enjoy the demonstration of their encumbrance by older viewing habits (or one might say the deconstruction of narrative conceits), to the extent that they found themselves trapped by the unravelling devices of these three short tapes. All texts or quotes by Tony Conrad. This major new live performance by Tony Conrad is especially conceived for the latent sound and immense scale of the Turbine Hall. Emerging from an installation inspired by the hum of the former power station’s one remaining generator, Conrad’s sonic and visual feast will incorporate an amplified string quartet, electric drill and motors, phonograph arms, film projection and shadows which loom high above the audience. Conceived and performed by Tony Conrad. This is a free event as part of UBS Openings: Saturday Live. Tony Conrad will discuss his radical breakthroughs in film, video, music and performance with Branden W Joseph, Associate Professor of Modern and Contemporary Art at Columbia University, and author of “Beyond the Dream Syndicate: Tony Conrad and the Arts after Cage” (Zone Books/MIT). The discussion will include a screening of Tony Conrad: DreaMinimalist, the latest in Marie Losier’s ongoing series of film portraits of avant-garde artists (Mike and George Kuchar, Guy Maddin, Richard Foreman). The film offers an insightful and hilarious encounter with Conrad as he sings, dances and remembers his youth and his association with Jack Smith. Marie Losier will be in attendance.